Resource page for Vewd brand guidelines, logo and icon assets, and other documents. This brand book guides our partners in using our logos, products and colors as they create, market and ship devices that contain Vewd products and software. Vewd company logo in correct colors and file formats. Product icons for Vewd App Store and Vewd Browser. 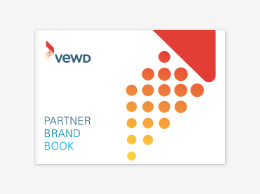 Partner logos for Vewd Enabled and Vewd Certified.